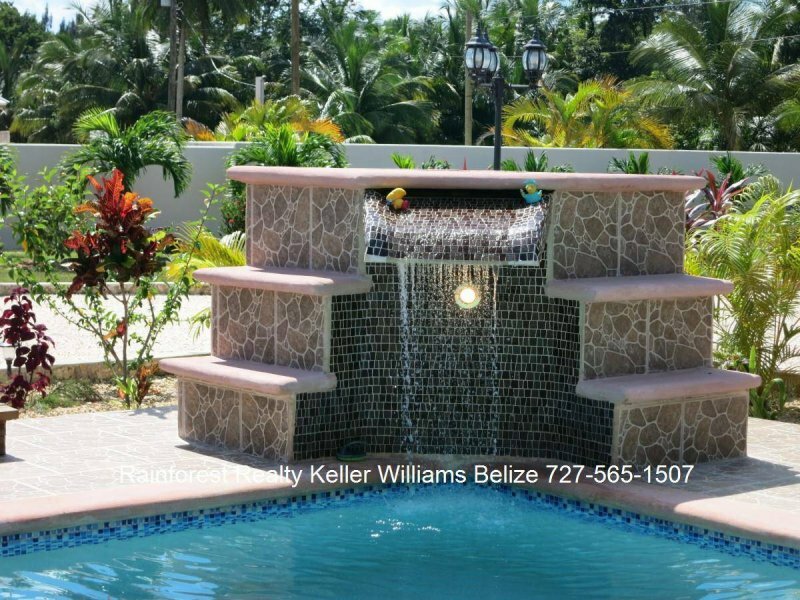 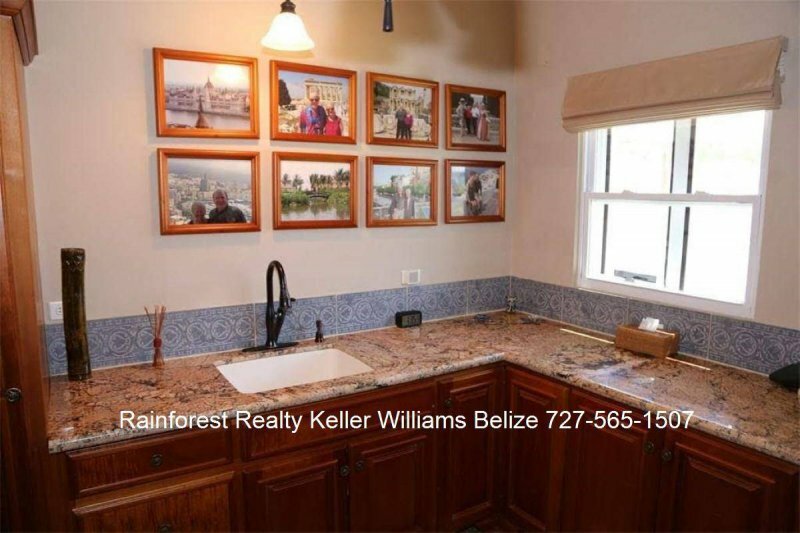 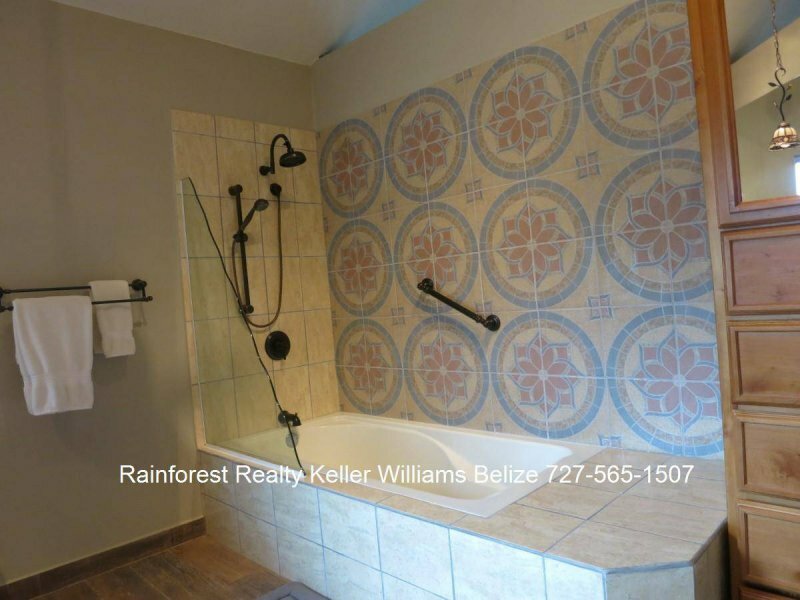 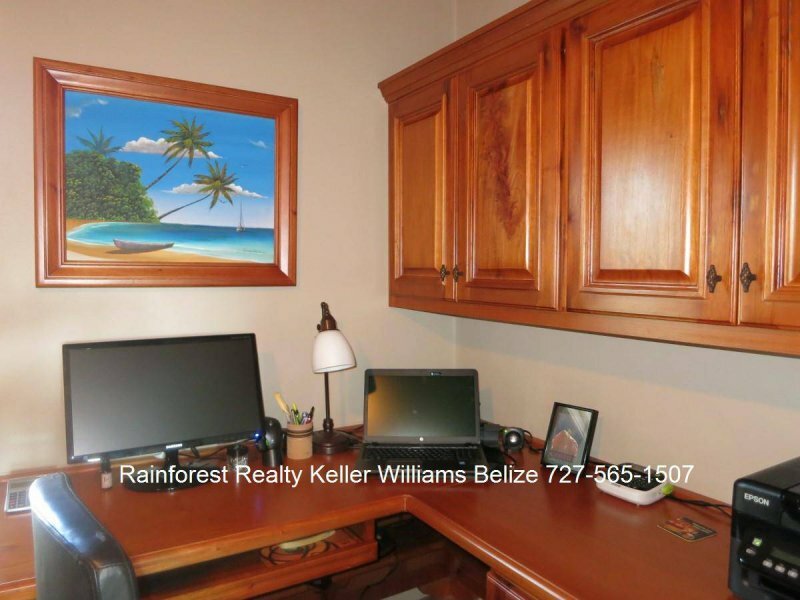 This Beautiful canal front property with ocean view, built in 2013, is located in San Andres/Ranchito Corozal! 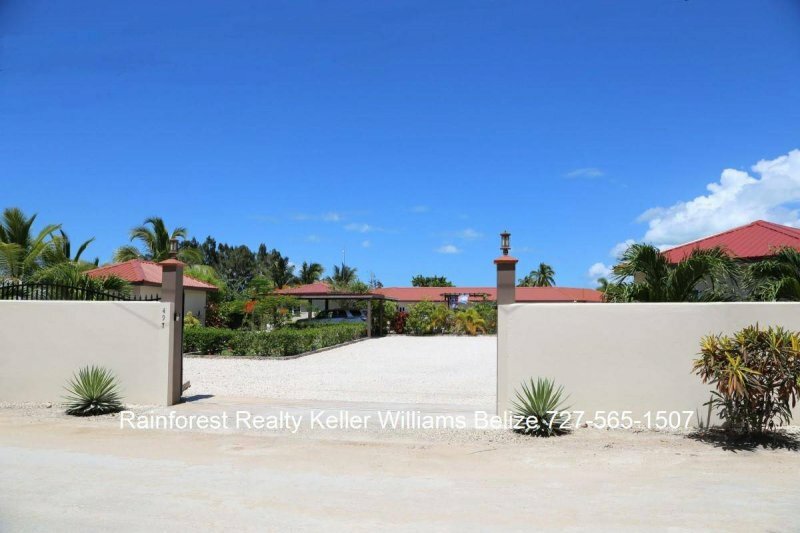 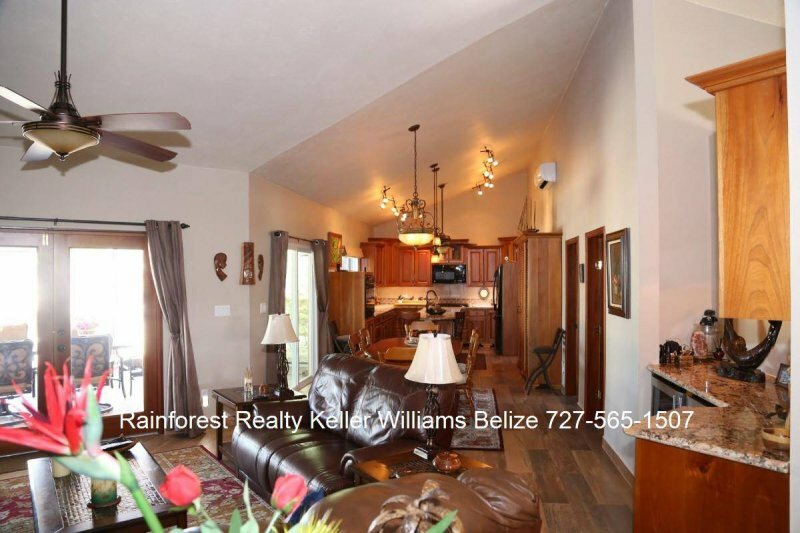 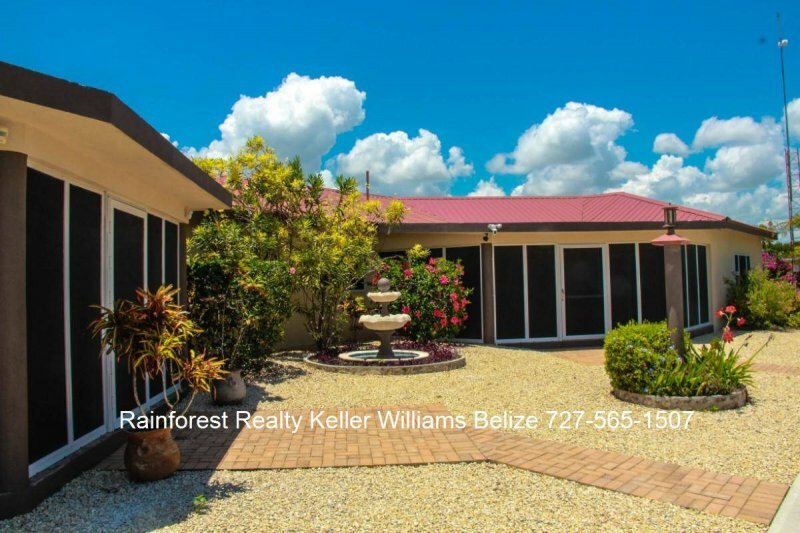 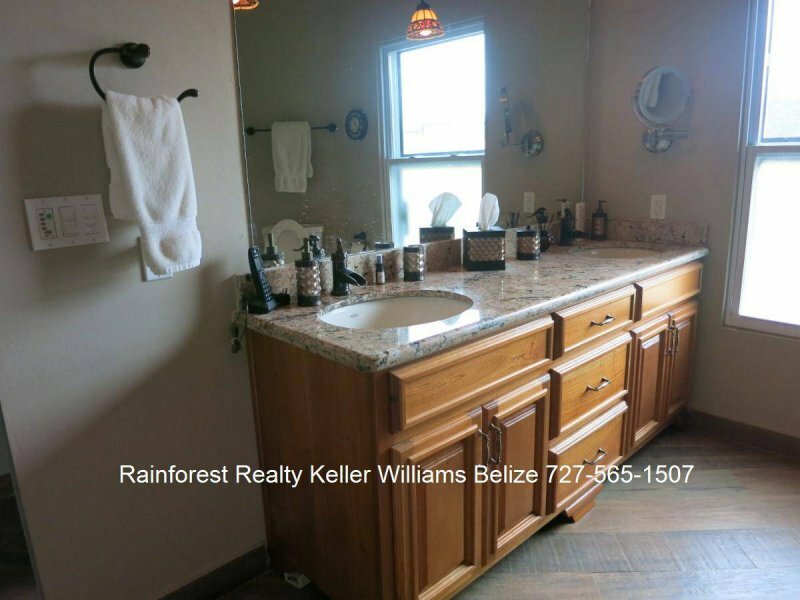 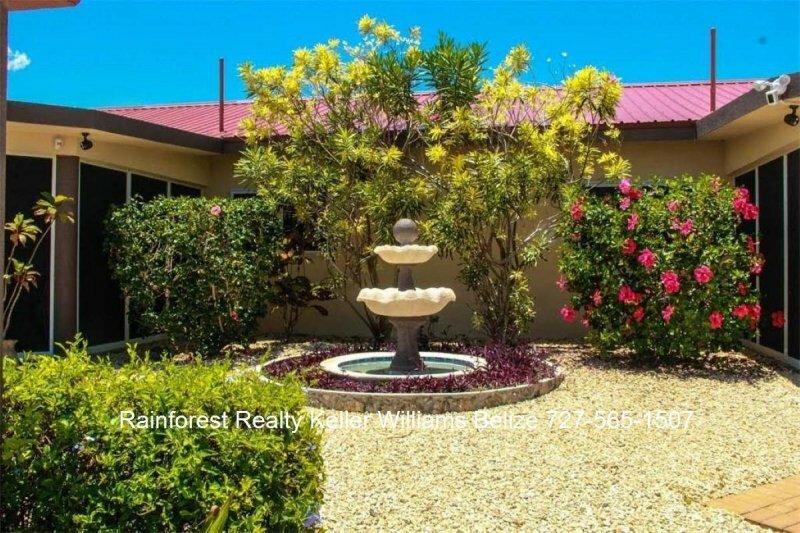 Just a short 5 minute drive from the local airstrip and Corozal Town, beautiful security gates open up into a 1 acre oasis. 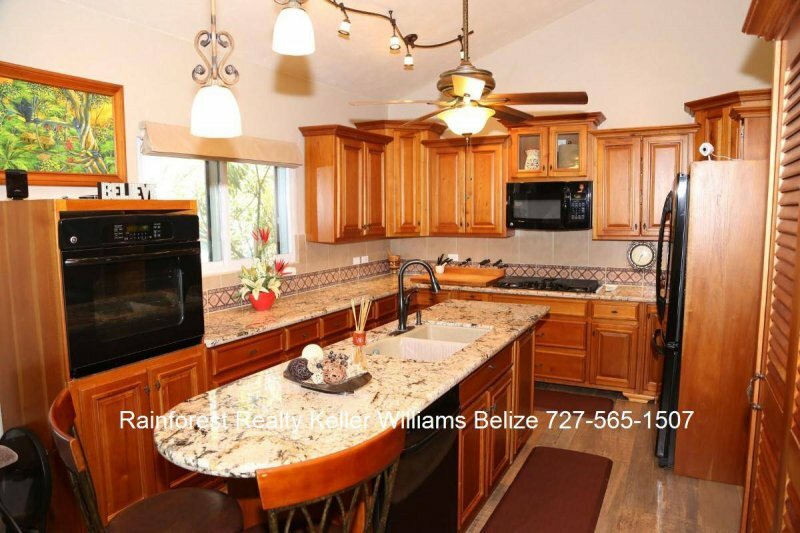 The property was built by the original owners and when stepping through the gates you can see that consideration to every detail has been given. 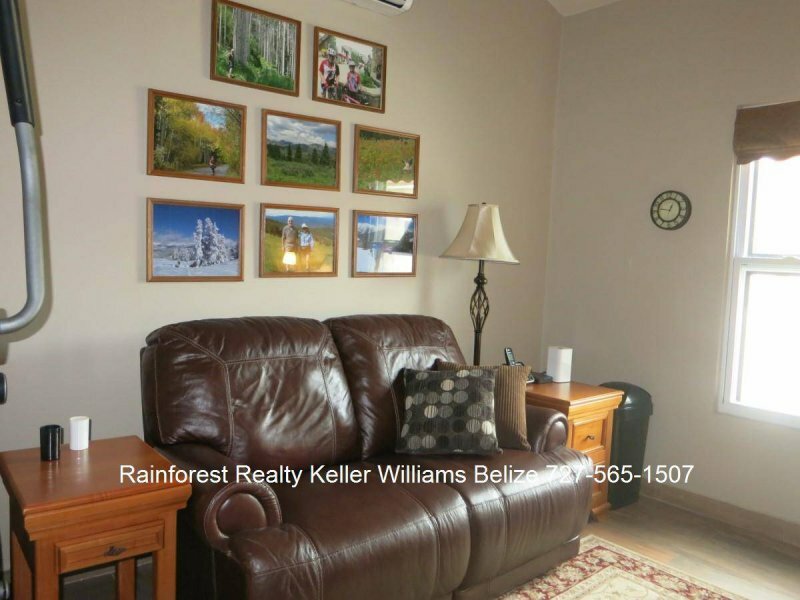 The home itself features an open concept kitchen-living area, fully equipped with GE profile appliances, granite countertops, beautiful vaulted ceilings, beverage centre and tastefully furnished lounge area that opens up to the 400 sq ft screened conservatory. 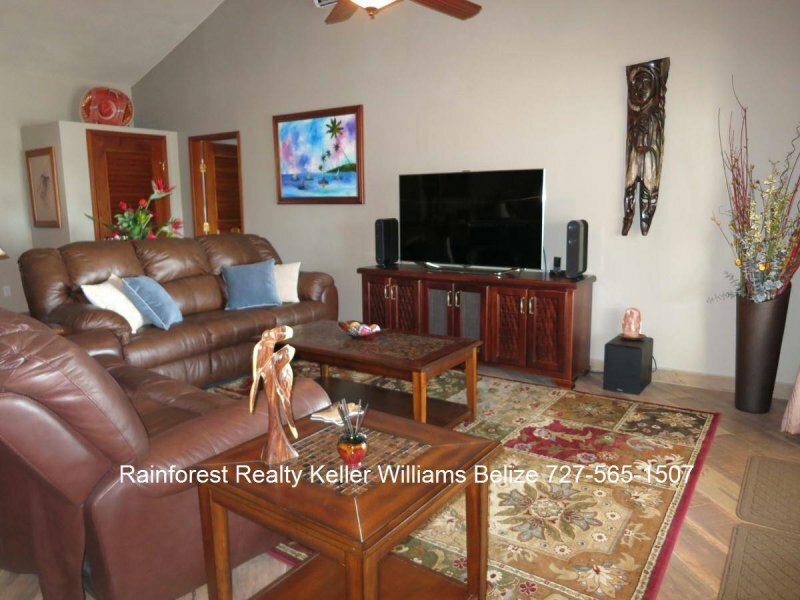 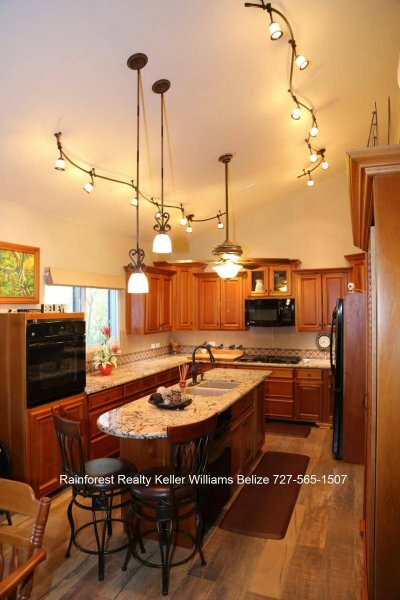 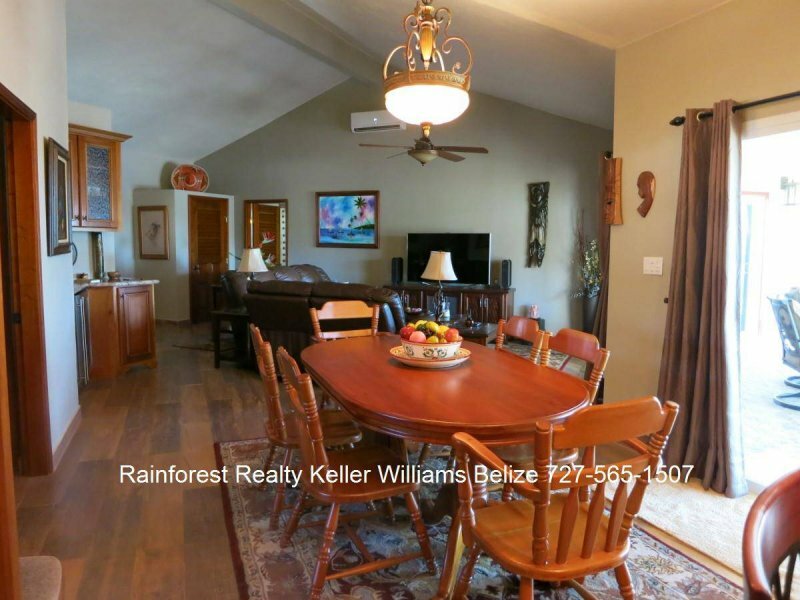 This entire living area offers a view of the landscaped yard and boat dock. 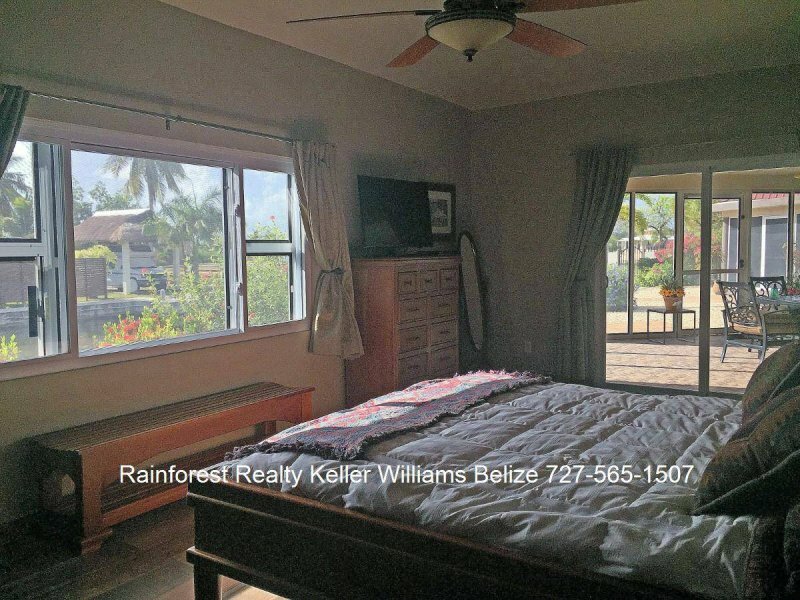 The main house has 3 bedrooms, one currently used as a home office, the second, ensuite and the large master suite includes bathroom with bath/ shower, twin sinks and granite counter tops and very large extended closet for clothing. 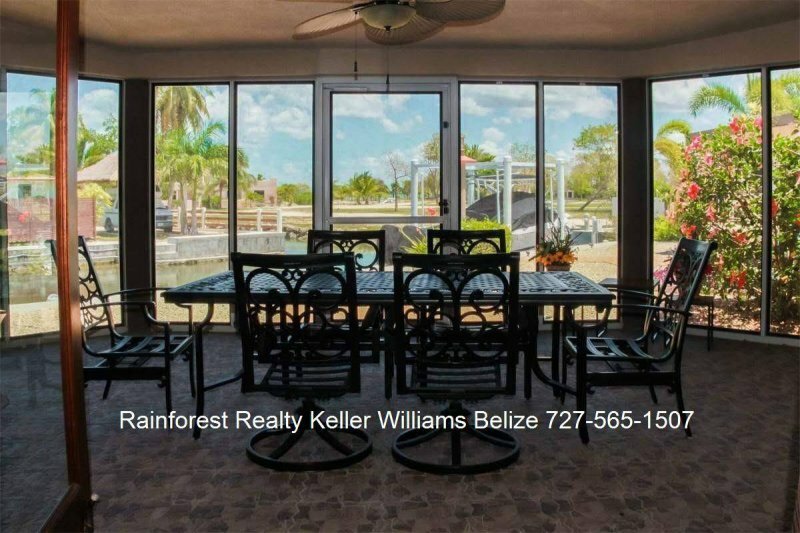 Doors from the master bedroom give private access to the conservatory and offer views of the water. 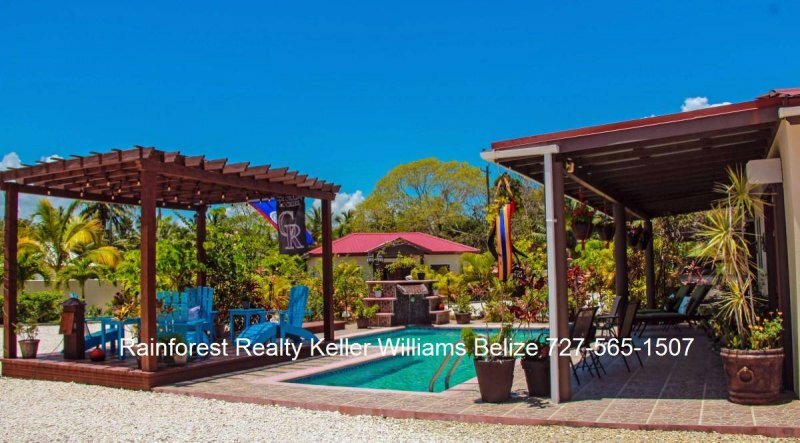 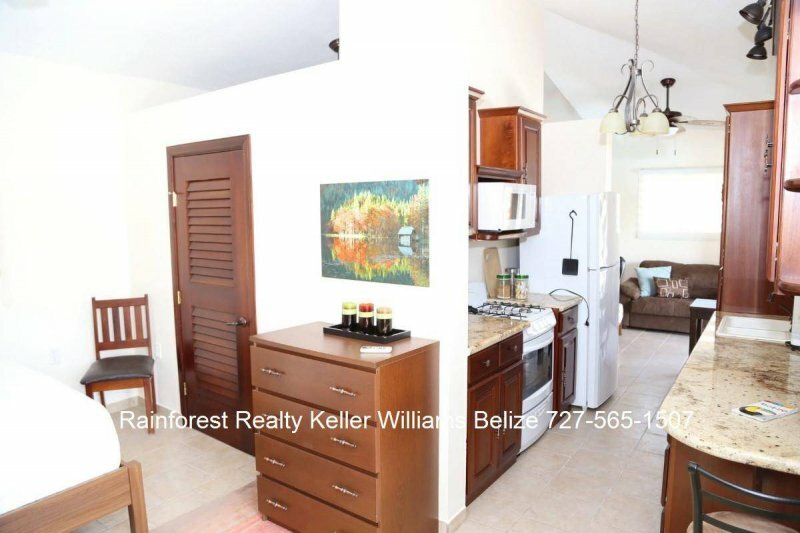 Shared with your neighbours, full time owners of the adjoining duplex, you have one acre of tastefully landscaped property with shared pool and 1 bed 1bath guest house with laundry, kitchen and living area for your guests to enjoy. 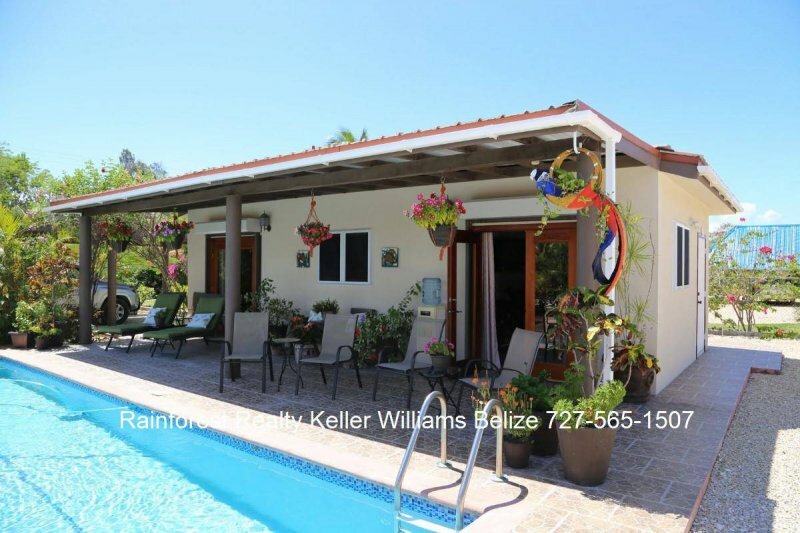 This property comes with a complete security system installed: fencing, security cameras, electric gate, motion detectors and lighting. 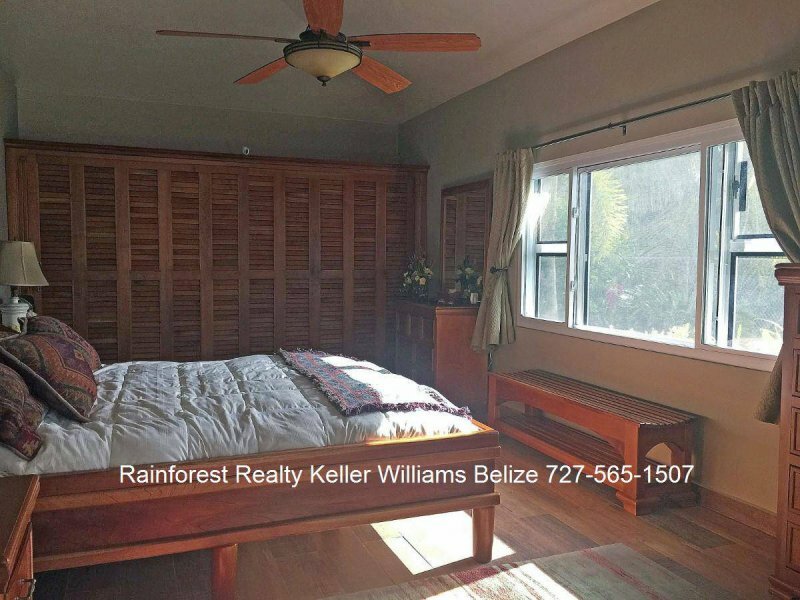 The house is fitted with Tapco screens and Anderson Windows along with it’s own RO system and generator in case of bad weather. 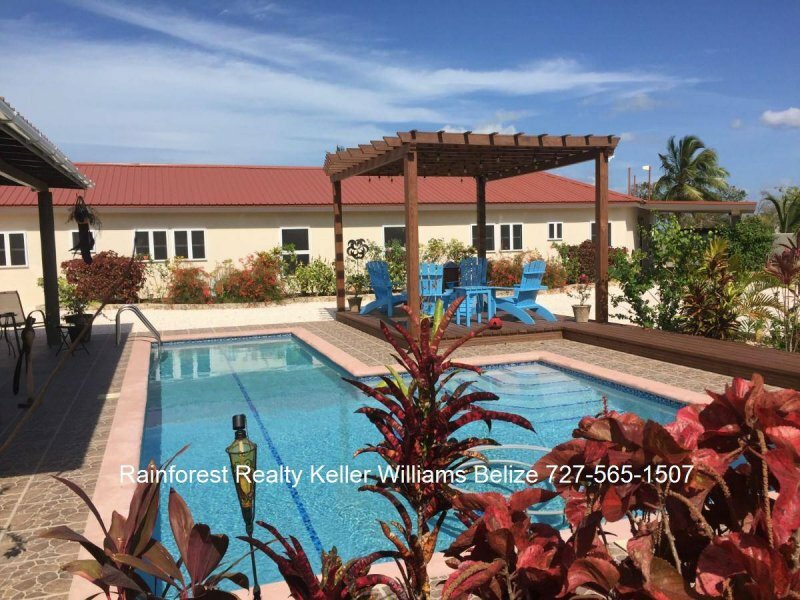 Corozal, the most Northern town in Belize is full of character and charm. 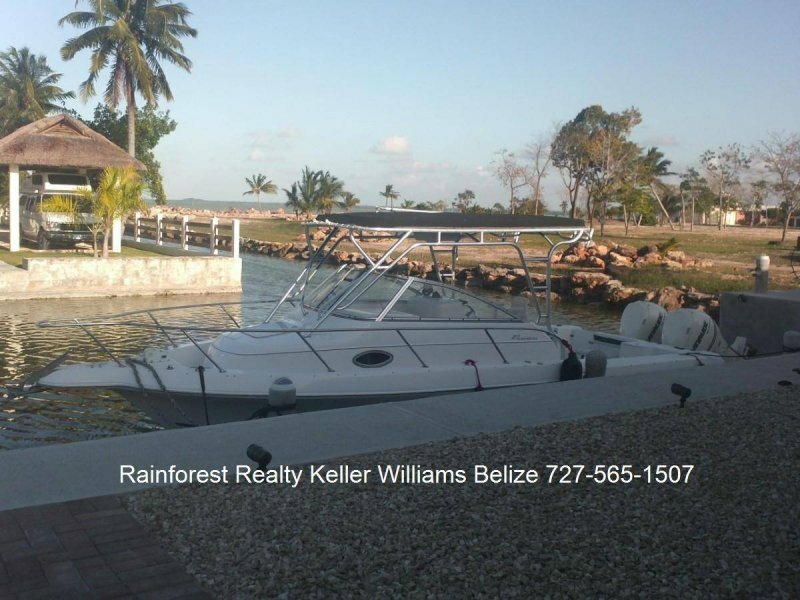 Corozal Bay offers abundant fishing and aquatic adventures and the surrounding area full of Mayan history to explore. 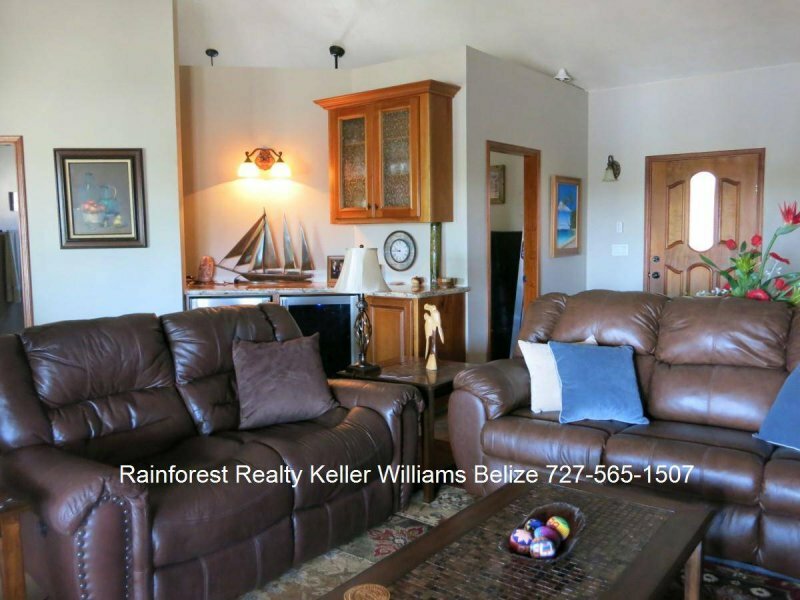 Local airlines can take to anywhere in Belize for the day or weekend away. 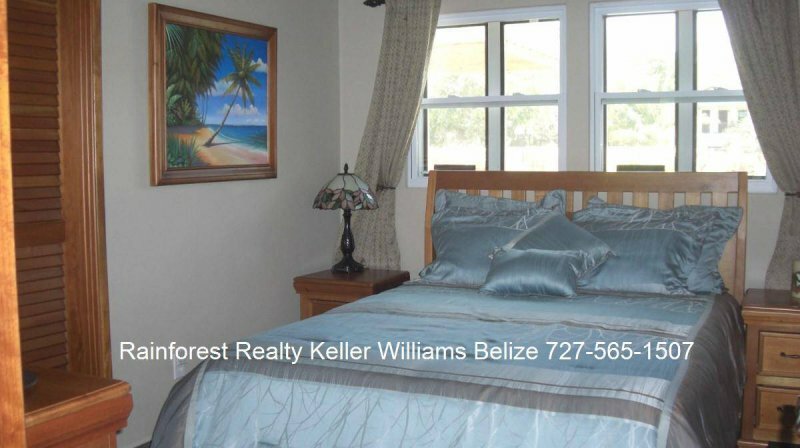 Just 9 miles away is the Mexican border where the bustling town of Chetumal awaits.